Test doubles like mocks, spies, and stubs are integral part of unit testing. In Jasmine, there are few such functions which can stub any function and track calls to it and all its arguments. They are known as spies. 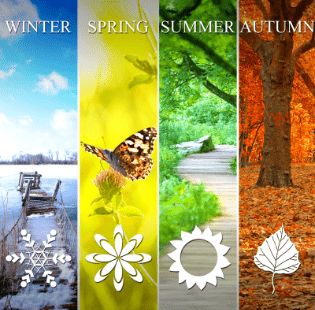 Inside the following spec, we first create an instance of Season() and invoke the getNextSeason() method in the next line. 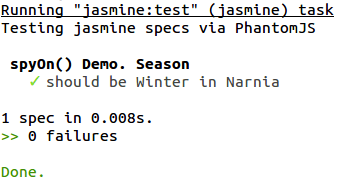 On call of the getNextSeason() method, the nextSeason() method also gets called, and hence the value of season gets assigned to "Summer" and the spec passes. But in unit testing, while testing a particular method/function we may not always want to call through all the other dependent methods/functions (it makes sense when you want to avoid actual AJAX calls which demand some delay time for the response). Take for example the s object created in the above spec. We may just want to test its getNextSeason() method without actually calling the nextSeason() method. 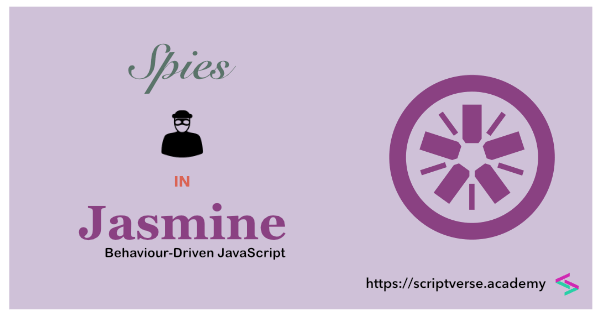 Jasmine provides the spyOn() function for such purposes. spyOn() takes two parameters: the first parameter is the name of the object and the second parameter is the name of the method to be spied upon. It replaces the spied method with a stub, and does not actually execute the real method. The spyOn() function can however be called only on existing methods. Now since the nextSeason() method is spied on, calling the getNextSeason() method does not call the actual nextSeason() method as in the first case, and hence the value of season is not changed. The spec fails. 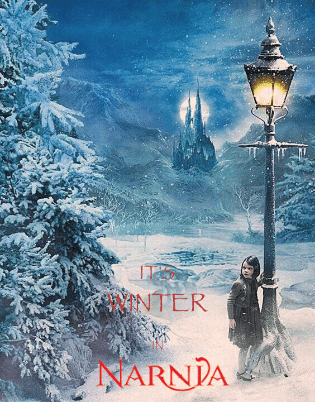 and the season property is changed to "Summer". The spec passes. In Sinon, a spy calls through the method it is spying on. 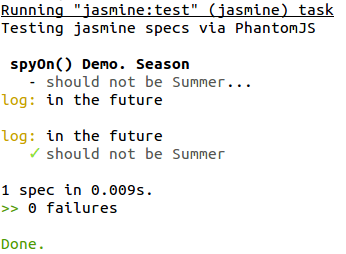 So, sinon.spy(s,'nextSeason'); in Sinon is equivalent to spyOn(s,'nextSeason').and.callThrough(); in Jasmine. A spy can be made to return a preset/fixed value (without the need for calling the actual methods using and.callThrough()). This can be achieved by chaining the spyOn() function with and.returnValue(). In the above spec, if the nextSeason() method is not spied upon, the actual value passed into expect() would have been just "Summer". And the spec would have failed.